Master Izo is a martial arts master and the founder of the group called the Chaste in the Marvel Universe. He is over 500 years old. There is a theory that the blind beggar in episode 8 of Iron Fist (The Blessing of Many Fractures) is Master Izo. The actor that played the blind beggar is actor Jon Kit Lee. See MCU section toward the bottom of this page for more on this theory. Centuries ago Master Izo was a member of the Hand warrior clan. When the Clan sought to add power by adding the influence of a Demon, Izo left. He disagreed with the evil energy that corrupted the clan. He created his own clan high up on a cliff called the Chaste. As part of his founding of the Chaste, Izo cut out his eyes, blinding himself so he could see the world in a special way. In this way he developed the radar sense like power that Daredevil is known for. Over many years he brought in other students and trained them in the ways of the warrior. He also battled his old clan the Hand who had now become fully perverted by the evil of the Demon. Master Izo is not saint, but more of an old, grumpy warrior. He has many issues that made him hard to tolerate to the other members of the Chaste. He was very impulsive and would do things on a whim. He was also prone to bouts of alcoholism and gambling. Eventually he is replaced as Leader of the Chaste by his blind pupil Stick. He remains part of the group but also often goes off on his own way. He has worked for both the Hand and the Chaste. He has at numerous times tried to reform the Hand away from their evil ways. As part of this schemes he has added his own mole Tarantula into the organization and even trained the woman Lady Bullseye to be the clans eventual leader. He reappears in the Shadowland story to tell everyone that Daredevil has been corrupted by the evil demon the Beast. 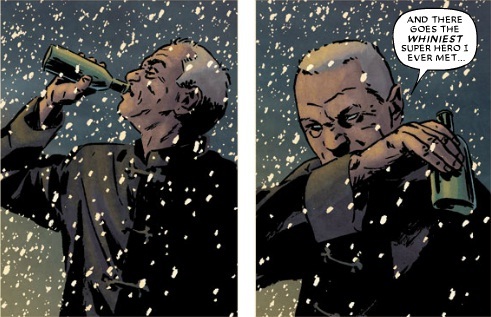 Master Izo battles alcoholism much like Tony Stark. Toylab blogger Marvel Matt has a theory that the blind beggar in episode 8 of Iron Fist (The Blessing of Many Fractures) is Master Izo. 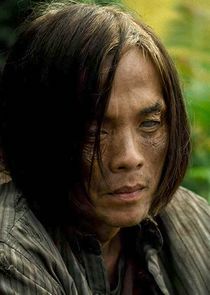 The actor that played the blind beggar is actor Jon Kit Lee. In episode 8 of Iron Fist season 1 Danny, Colleen Wing, and Claire Temple attack a Hand facility. To gain information on the facility Colleen talks to a blind homeless man outside of the facility. The man is non descript but seems comfortable talking in English. He also willingly provides information to help the the group infiltrate the base. The character is quickly eclipsed by the group's battles within the compound and not touched on again. However, I would not be surprised if that blind homeless man appears in the Defenders. While the homeless man may be nothing more than a homeless man, I feel that it could also be Master Izo. He has not yet been shown in the Daredevil scenes with Chaste and he is known for going off on his own. Possibly he was outside the Hand base spying on the group pretending to be nothing ore than a drunk, homeless person. 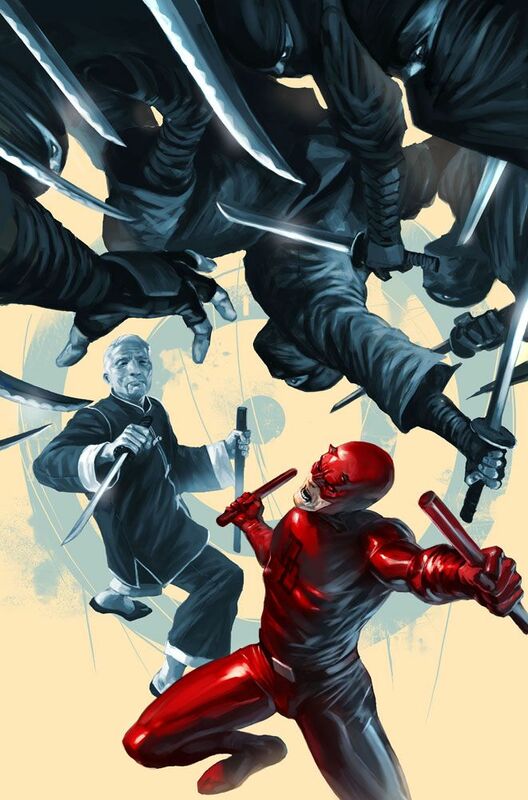 This would be away to help tie together the events of Iron Fist with the events in Daredevil. It would also help to explain the Chaste and the Hand. At some point the series needs to explore the origins of the Hand and explain who they are. All Daredevil and Defenders Saga News!